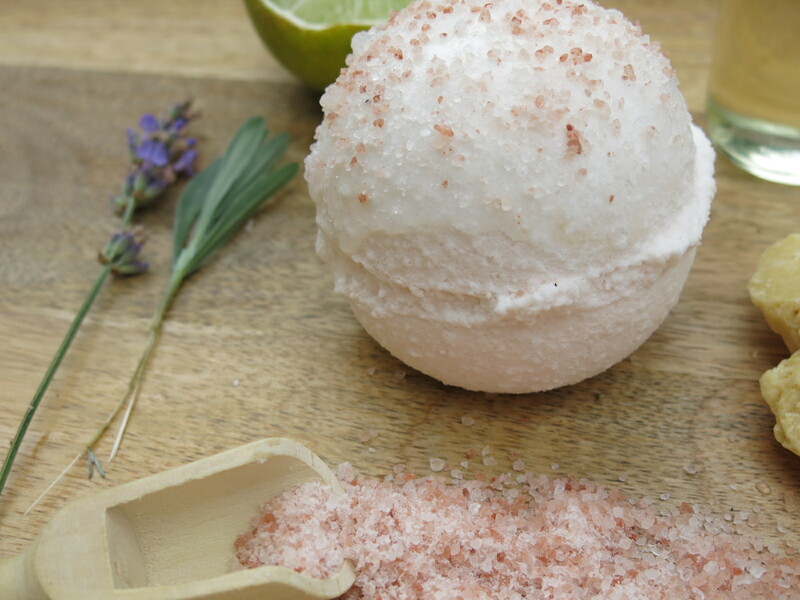 Every Blue Vervain Botanicals Order over $10 this August will be accompanied with a free bath bomb! That’s right, free. These huge bath bombs are 4.5 to 5 ounces. 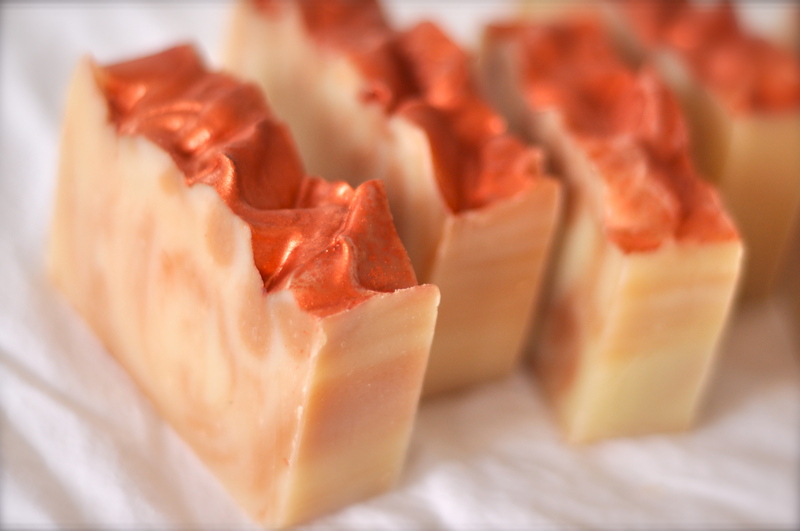 They will make your bath smell lovely and your skin feel smooth, silky and conditioned. These bath fizzies are enriched with Organic Cocoa Butter, Mango Butter, Alkanet-infused Oganic Sunflower oil lends a hint of pink. 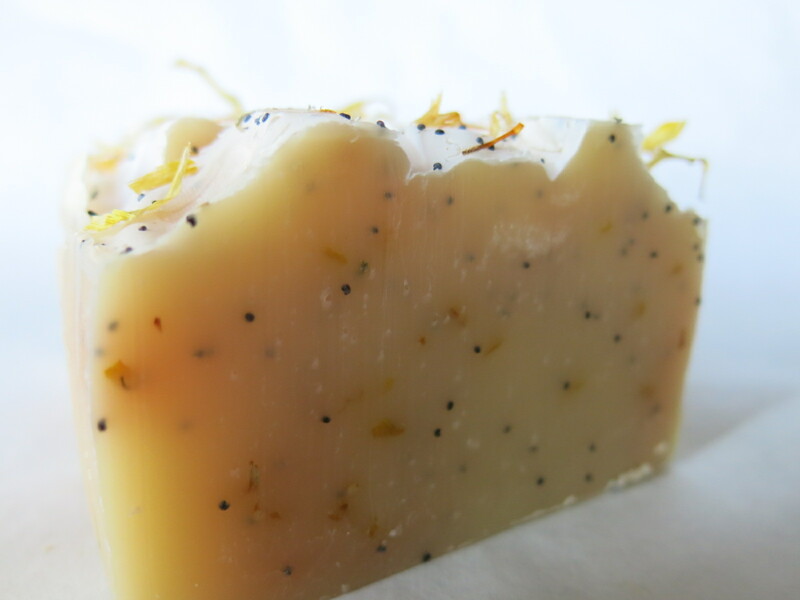 They are naturally scented with 100% pure essential oils of Lemon, Lavender and Ylang Ylang. They’ve been dipped in soap and rolled in Himalayan Pink Salt. Why am I giving these away, you ask? Because I am new to bath bomb/fizzy making. 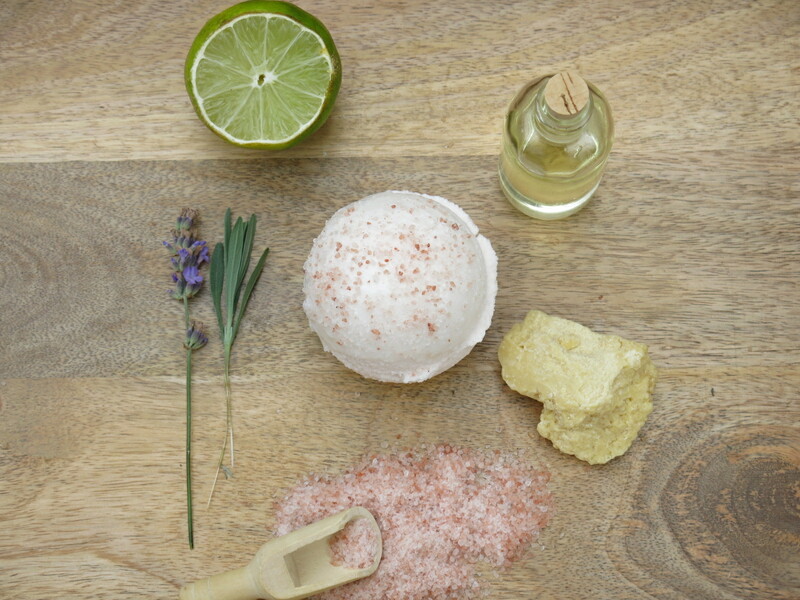 Bath bombs are my summer project (well, one of my summer projects). While my photo looks pretty good, if I do say so myself, in fact, some of them are less than perfect. Some of them are slightly lopsided and and have some cracking. In spite of their wrinkles and warts, they smell and feel great and I am passing them along to you. What’s for sale in August? I was playing around with Alkanet, a traditional, plant based colorant. 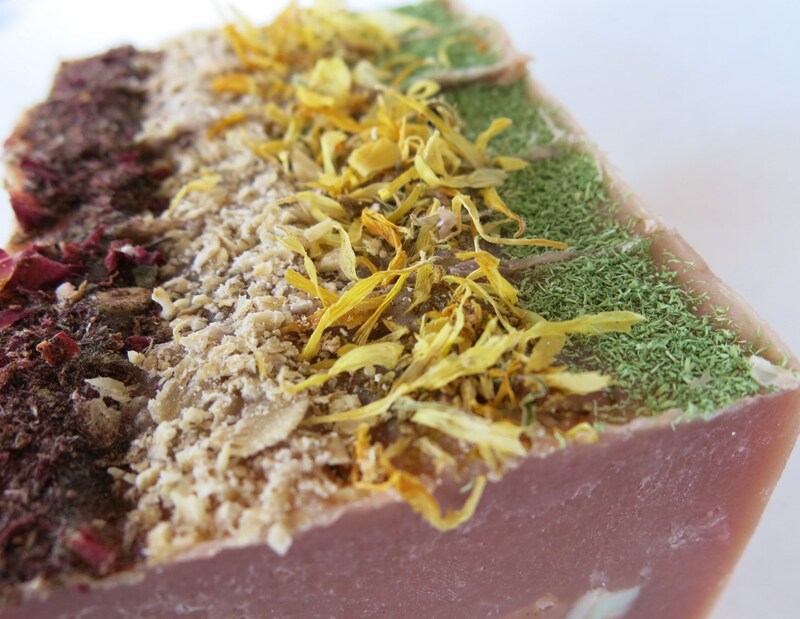 This one is topped with rose petals, oats, calendula and ground loofah. Ice, Ice Baby–This one is always a favorite. 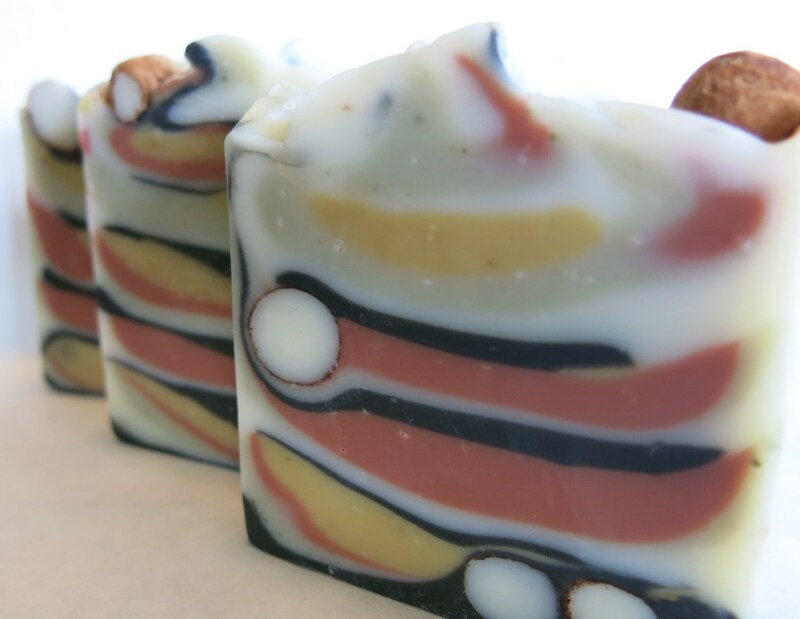 It’s refreshing and tingly with a nice unisex scent of essential oils of Tea Tree, Eucalyptus, Peppermint and Cedarwood. It also contains poppy seeds and Australian Blue Clay and cocoa powder. 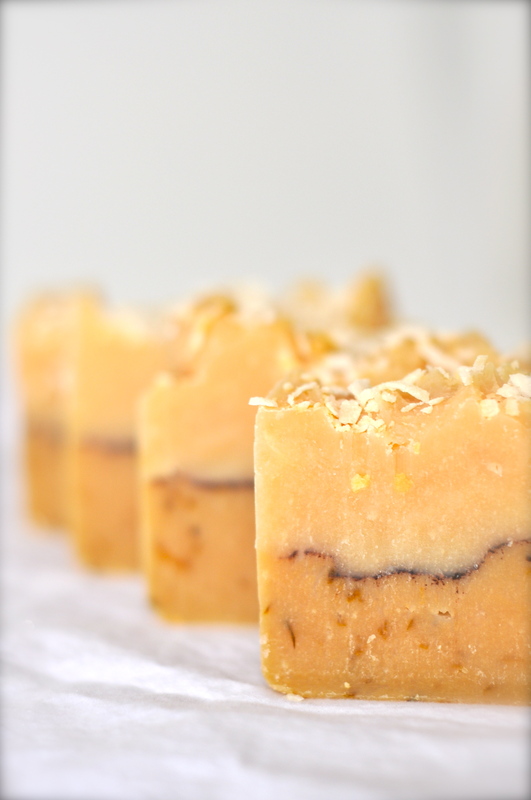 Coconut Lemongrass—Lemongrass essential oil, Coconut fragrance oil, yellow clay, cocoa powder and shredded coconut. 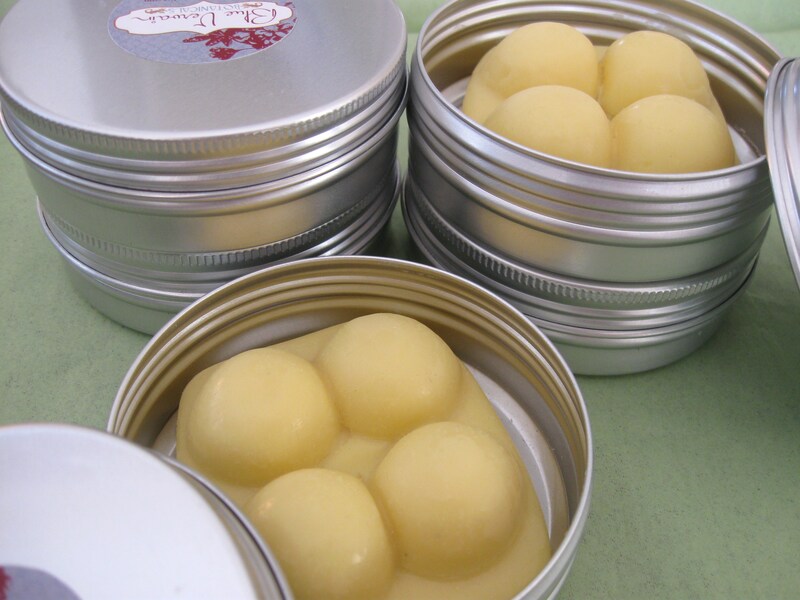 And Whipped Shea Butter Sugar Scrub in three lovely scents. Lots of syrups: Garlic Ginger Cold and Sinus, Vitmain Mineral Spring Tonic in many sizes, Violet Syrup and, for those who can’t decide, a syrup sampler with one of each in a small size. 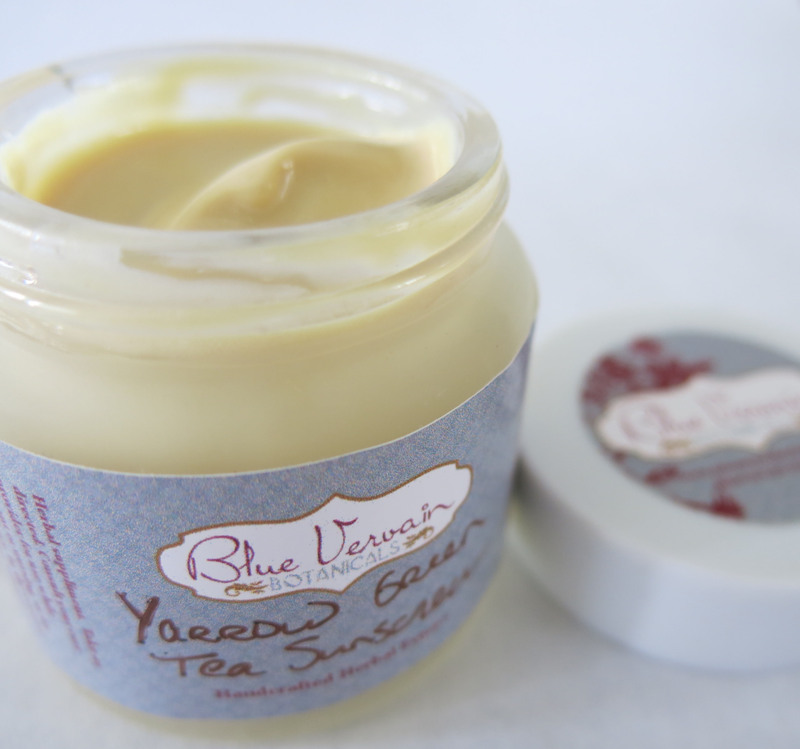 Yarrow Green Tea Sunscreen–fresh batch to last you through the rest of the summer. Just send me an email if you are interested in something that doesn’t appear in my etsy listings. I may have it in stock and just not have pictures to make an etsy listing. Of course, I have all my tinctures in many different sizes from dram vials to 2 ounces, many infused herbal oils. 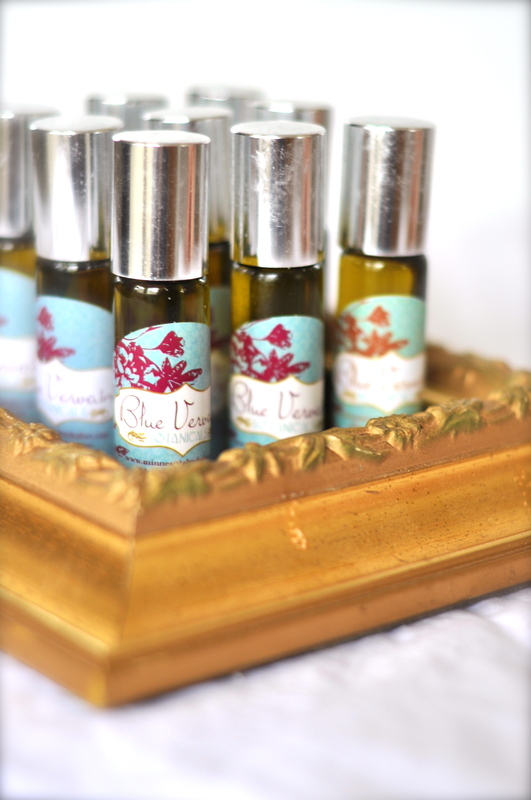 I will custom blend tinctures or oils for you. There’s also lots of Pregnancy Tea, Mother’s Milk Tea and Midwife’s Blend Postpartum Herbal Bath. I do have other little goodies gracing my shelves including some anti-fungal ointments, Rose Lipped Maidens Lip Butter, some bath melts, some clearance and scratch n’ dent soaps and other items. And I hope to whip up some fresh Blue Chamomile Cream this week. Local Customers: If you want to save on shipping and pick up your order email or call me instead of shopping on etsy. You can pick up at my St. Paul location and pay with cash, check or credit card. Want to browse before you decide? Call or email me to set up a time to stop by and check out the selection.